Stephanie Hüber is a member of Task 28, a project run by the International Energy Agency (IEA) to educate the public in appreciating the benefits of wind energy despite the perceived negative visual and environmental effect of wind turbines. The most common opinion she encounters is: “Renewable energy yes, but not in my back-yard”, where people support wind energy but do not want wind turbines near their homes, in scenic areas, or anywhere where there is a risk of birds being killed or injured. Speaking at the Energy Ireland renewable energy summit in January, Hüber revealed that in addition to concerns about birds, Task 28 has gathered comments and concerns about the threat that turbines pose for bats and bees. Sometimes referred to as “soft issues”, environmental and societal matters have become pivotal to the deployment of wind energy in many countries, Hüber contends. Communities taking part in the research have also voiced their opposition to wind- farms because they may spoil their views; make noise; pose health risks by being too close to dwellings; ruin agricultural land; or drive away tourism. Hüber stated that despite seeing You Tube videos of eagles crashing into turbines, such stories are mainly “myths that need to be de-bunked.” Task 28 believes that in order for wind-farm projects to succeed, the planners and developers need to communicate effectively with local communities. “Developers have a key role to play in talking to people and informing them because it’s them who want to set up the wind-farms,” Hüber continued. Hüber and Task 28 suggest that one solution to the problem would be if local communities are given ownership of wind-farms. created and ideas for new projects can be established,” she claimed. In addition, the public should receive more education on the benefits of wind- farms through universities and schools. Jobs could be created in the area of maintenance. Hüber pointed to Japan where a major bird dispute took place 10 years ago. In response, Japan introduced ‘citizen wind power’ whereby ordinary citizens raised $18 million for 10 projects and their names were inscribed on wind-turbines or they received a certificate. Feedback in Japan showed that people didn’t mind investing in a socially responsible project and that they wanted to stop global warming whilst claiming ownership of the wind-farms. 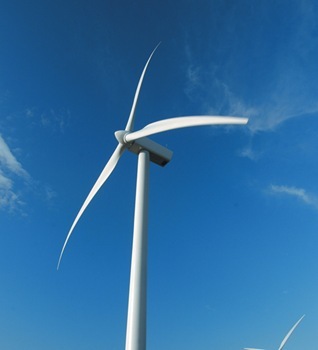 IEA Wind – which sponsors Task 28 and other tasks aimed at cooperative research into issues affecting wind energy – consists of 10 European countries (including Ireland and the UK), as well as the USA and Japan. Expert planners, engineers, sociologists and psychologists are involved in Task 28. The group are in the process of establishing an international forum of exchange; creating an on-line library; translating results from sociologists into the language of policy-makers, engineers and planners; and establishing strategies and communication activities to improve the image of wind-farms.